Mikimoto's real name is Haruhiko Satou. He is a comic book artist, illustrator, anime character designer. Mostly active during the 1980s, during that decade he rose to prominence and is considered one of the top character designers of his time. 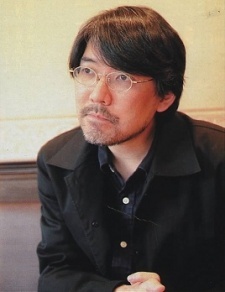 He was born on August 28, 1959 in Tokyo, Japan. He graduated from Keio University. He became animator of Artland while attending school, and took charge of the Model sheet of The Super Dimension Fortress Macross.